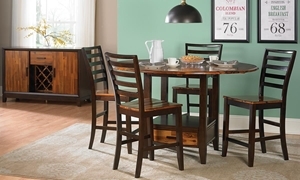 Dining set with two-toned table and 2 ladder back chairs. 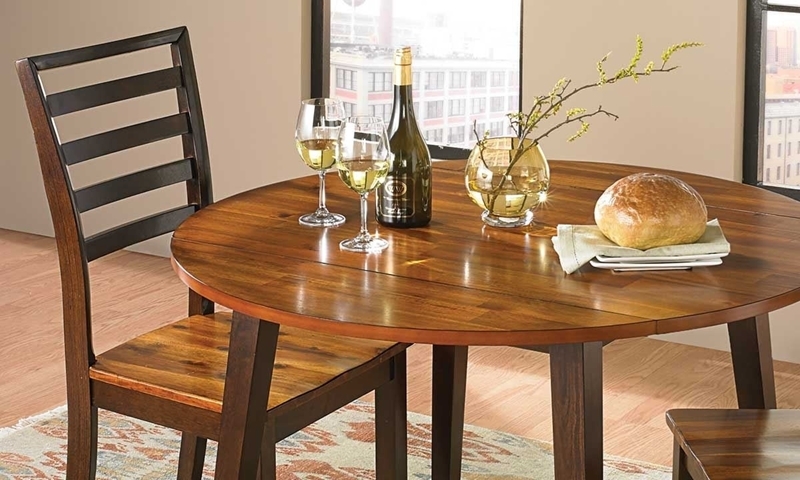 The Ombré Dining Collection features a gorgeous two-tone finish over solid acacia construction. Two included ladder back chairs and the small scale of the table fits well in a small space. 60-inch round gathering table with lazy Susan and storage base plus four matching ladder back chairs crafted from two-tone solid acacia.